Prevent soil erosion. Plant trees and bushes along creek banks and in bare areas of the yard. Scoop the poop. 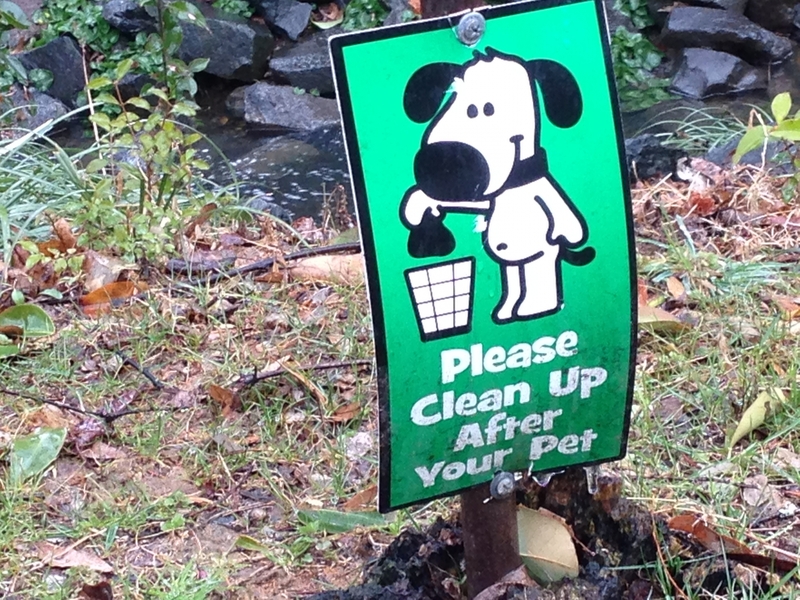 Dog waste can pollute local creeks. Use a car wash, not the driveway. Use fewer fertilizers and chemicals in your yard. Soil test to know how much fertilizer is needed. Don’t apply chemicals 48 hours before a heavy rain. Don’t dump cooking grease and oil down the sink. Grease clogs are the most common cause of sewage spills into Mecklenburg creeks. Don’t dump yard waste in drains or creeks. Bag, recycle or compost it. Don’t dump hazardous chemicals down drains. Take them to a recycling center. Report pollution, including soil erosion. Plant trees; they absorb hundreds of gallons of rainfall. Direct rainwater runoff to rain gardens and open ditches, where water can soak in. Avoid piping it underground to paved areas. Use a rain barrel to reuse stormwater. Available from Mecklenburg Soil & Water Conservation District. Limit and reduce pavement. Use pervious pavement. Install green roofs, rain gardens or green walls. 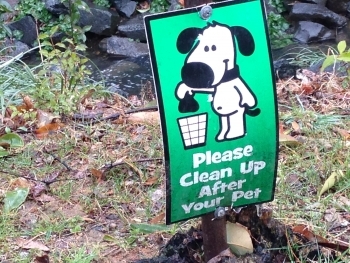 Adopt-A-Stream: Organize a group to clean a local stream twice a year. Storm Drain Marking: Mark storm drains in the neighborhood. Volunteer monitoring: Help monitor the health of a local waterway. Big Sweep: Help clean streams and lakes across the county in September. Creek Releaf: Plant trees along streams in November.